Mexico’s urban hierarchy is still very dominated by Mexico City, its primate capital city. Even though the Mexico City urban area (ZMCM) has grown relatively slowly during the past 30 years, by 2000 it had a population of 17.8 million, almost five times larger than Guadalajara, instead of twice as large as expected from the rank size rule. The concept of urban hierarchy is more complicated than the rank-size rule, which is based solely on population size. Urban hierarchy is based more on the functions provided by urban centers and their relationships with their hinterlands. An urban hierarchy is conceptually similar to an organization chart or layered pyramid. 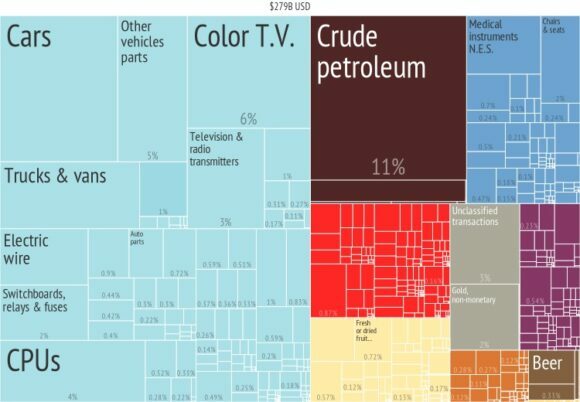 At the top is the largest center, the dominant financial, economic, and often political center of the country. It has the widest range and most complex set of urban functions and services such as international banking, stock exchanges, trade organizations, and major media and communications centers. It is the center of power of the country: the place where the most important decisions are made. At the second level are a few regional cities that are the centers of power in their region or hinterland. They provide high level services that are not available elsewhere in the region. Such services might include investment banking, an important international airport, as well as sophisticated business, legal and medical centers. At the third level are a larger number of subregional centers which are the focus of economic activity in their subregion. At each succeeding lower level, there are a greater number of centers serving as the economic foci of their smaller hinterlands. Often a center’s population is a guide to its level in the hierarchy, but not always. Some centers may have a large population, but do not provide a wide range of key economic functions to surrounding areas. For example, Puebla is Mexico’s fourth largest urban area, but does not serve as a real center for a national region because it is so close to Mexico City. In other words, Mexico City is so economically dominant in central Mexico that Puebla has been unable to carve out a substantial hinterland of its own. The same can be said for Toluca, Mexico’s fifth largest urban area. Tourist centers like Cancún and Acapulco are other examples of cities that have a reduced regional importance despite their relatively large populations. They provide vacation and recreation services for visitors from around the world. However, neither is a state capital, and they are not necessarily the key functional center in their respective regions. Given their complexity, the specific delineation of urban hierarchies has often been as much art as science. So far, no uniformly accepted, easy to use criteria have been developed for this purpose. Efforts to delineate urban hierarchies have traditionally used information on the range of services provided; financial, communication and transportation flows; as well as a center’s location, its surrounding hinterland, and the distance to competing centers. Mexico City is at the apex on the Mexican urban hierarchy; Guadalajara and Monterrey are key second level cities. Beyond these three centers, there is less agreement concerning the appropriate levels of other urban centers. 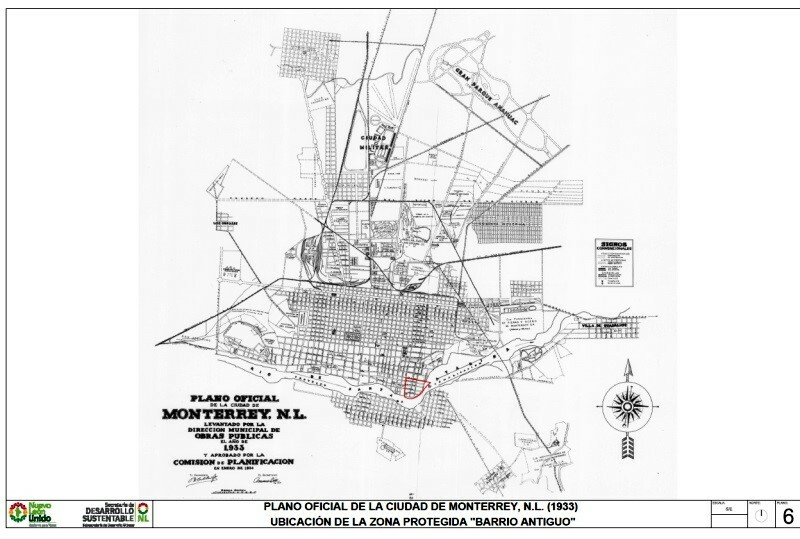 Some think there are only two genuine level two cities, while others have argued that Toluca, Tijuana and Ciudad Juárez should also be considered level two cities. There is even less agreement when it comes to specifying cities in levels three and four. 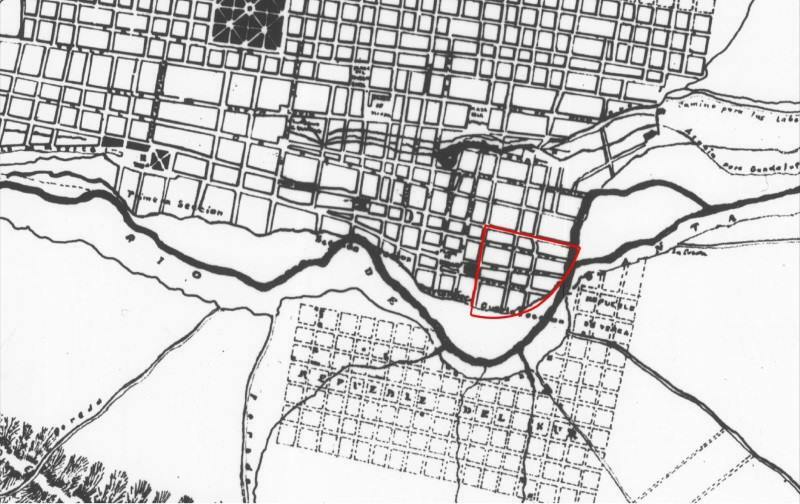 The exact delineation of the levels is less important than understanding the basic concepts of urban hierarchy and realizing that a city’s level is related to the range of functions it provides to its surrounding hinterland. 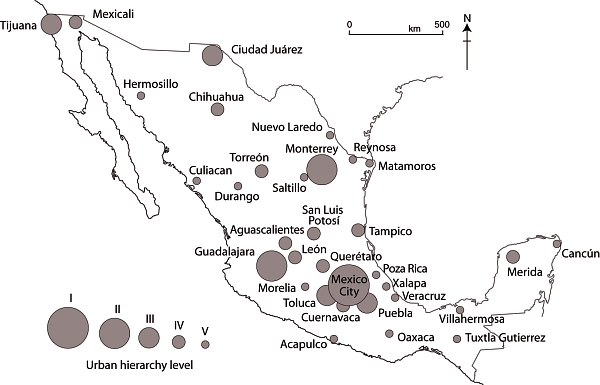 The suggested current urban hierarchy of Mexico (see map) is based on objective and subjective information on the urban center itself, as well as the population in its hinterland and its distance from a competing urban center. This hierarchy is only suggestive. Intermediate levels could be added indicating centers that could arguably be included in either the level above or level below. The current hierarchy is not static and is very different from the urban system of the Colonial era, or even of the 19th century. 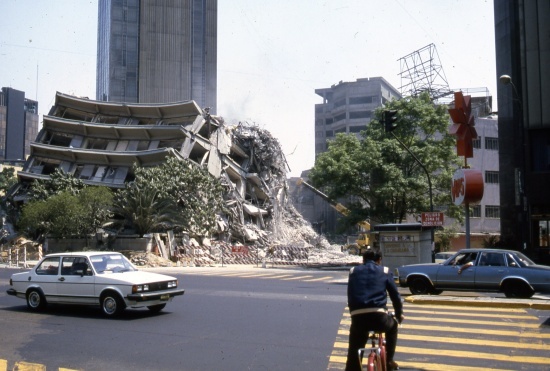 The one constant is that Mexico City has always been at the apex of the hierarchy. The positions of individual cities may change drastically with changing economic and political conditions. 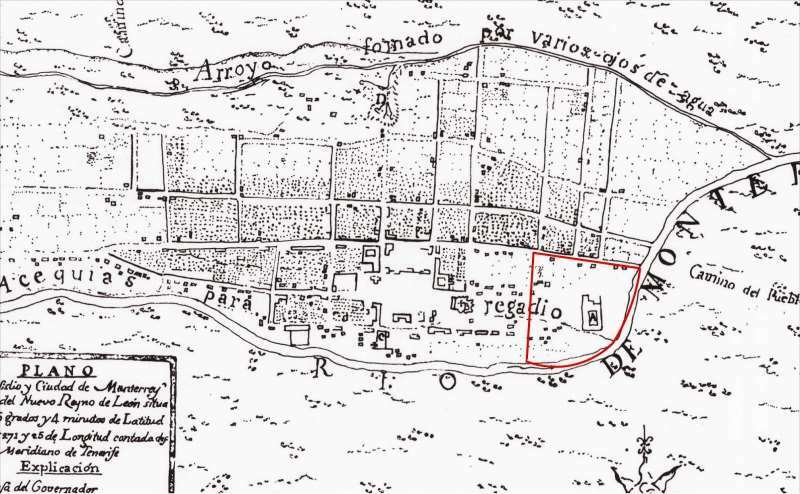 For example, Guanajuato was once an important level two city, but with the decline of its silver mines, it dropped below level five. Early concessions (the first was in 1837) came to nothing. By 1860 Mexico had less than 250 km of short disconnected railroad lines and was falling way behind its northern neighbor, the USA, which already had almost 50,000 km. Political, administrative and financial issues, coupled with Mexico’s rugged topography, also prevented Mexico from keeping up with other Latin American nations. 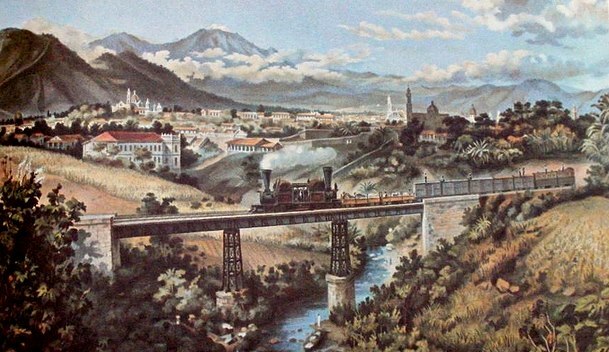 Mexico City was finally linked by rail to Puebla in 1866 and Veracruz in 1873. In deciding the best route for the Veracruz-Mexico City line, Arthur Wellington, an American engineer, developed the concepts which later became known as positive and negative deviation. At first glance, it might be assumed that the optimum route for a railway is the shortest distance between points, provided that the maximum possible grade is never exceeded. Negative deviations lengthen this minimum distance in order to avoid obstacles such as the volcanic mountains east of Mexico City: the Veracruz line skirts the twin volcanic peaks of Popocatepetl and Ixtaccihuatl before entering Mexico City from the north-east. Positive deviations lengthen the minimum distance in order to gain more traffic. Different gauge tracks typified a system based on numerous concessions but no overall national plan. By the turn of the century, additional tracks connected Guadalajara, San Luis Potosí and Monterrey to the Gulf coast port of Tampico. A line connecting the Pacific and Gulf coasts was also completed. Durango was now connected to Eagle Pass on the US border. 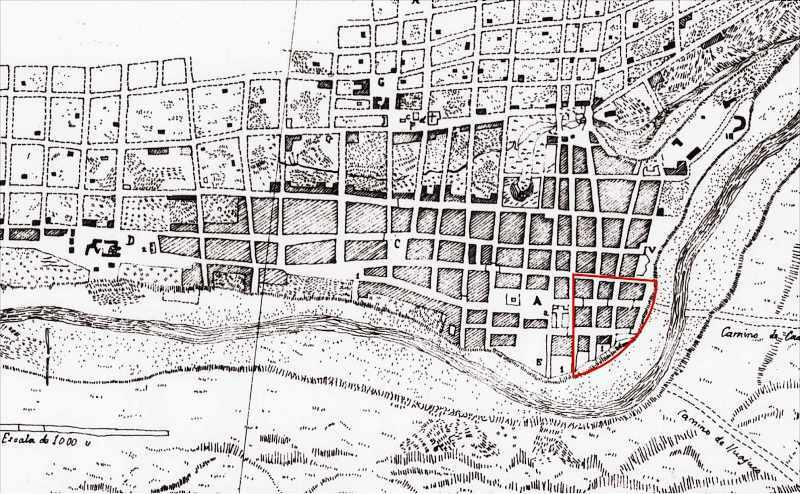 A second line to Veracruz was constructed, with a spur to Oaxaca. Laws passed in 1898 sought to bring order to the rapid and chaotic expansion of Mexico’s rail system. Foreign concessions were restricted. Subsidies were only made available for the completion of missing links such as lines to Manzanillo and the Guatemala border. Efforts were made to standardize track gauges. However, the country’s 24,000 km railroad network still had serious deficiencies. There were only three effective connections from the central plateau to the coasts. 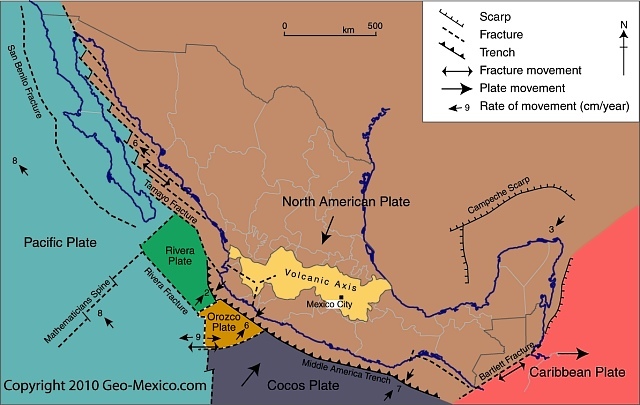 There were no links from central Mexico to either the Yucatán Peninsula or to the northwestern states of Nayarit, Sinaloa, Sonora and Baja California. The only efficient way to move inland freight from Chihuahua, Torreón, Durango or Ciudad Juárez to the Pacific was either north through the USA or all the way south and through Guadalajara to Manzanillo. The Sonora railroad linked Guaymas and Hermosillo to the USA, but not to the rest of Mexico. Despite their weaknesses, railroads revolutionized Mexico. The railroads had average speeds of about 40 kph (25 mph) and ran through the night. They were five to ten times faster than pre-railroad transport. They lowered freight costs by roughly 80%. They shrank the size of Mexico in terms of travel time by a factor of between five and ten. They were also much cheaper and far more comfortable than stagecoaches. The estimated savings from railroad services in 1910 amounted to over 10% of the country’s gross national product. Between 1890 and 1910, the construction and use of railroads accounted for an estimated half of the growth in Mexico’s income per person. In addition, the railroads carried mail, greatly reducing the time needed for this form of communication. Clearly, the benefits of railroads far outweighed their costs. Foreign companies gained mightily from their investments building railroads, which were almost entirely dependent on imported locomotives, rolling stock, technical expertise, and even fuel. 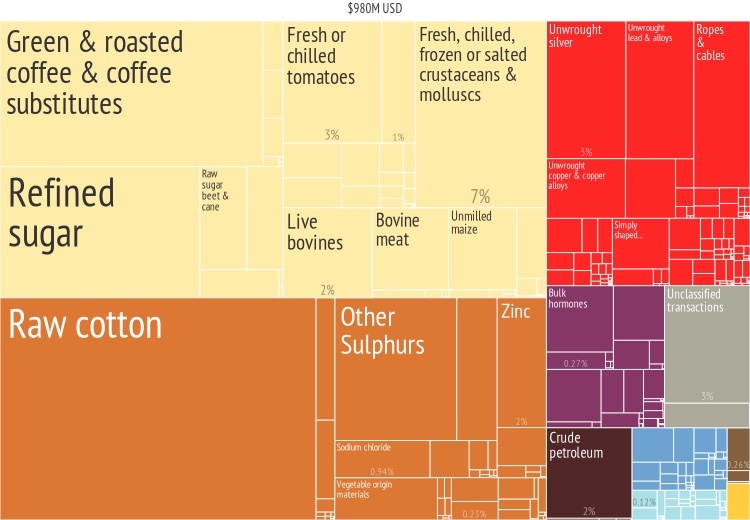 But Mexicans also benefited enormously; in the early 1900s over half of the rail cargo supplied local markets and industries. 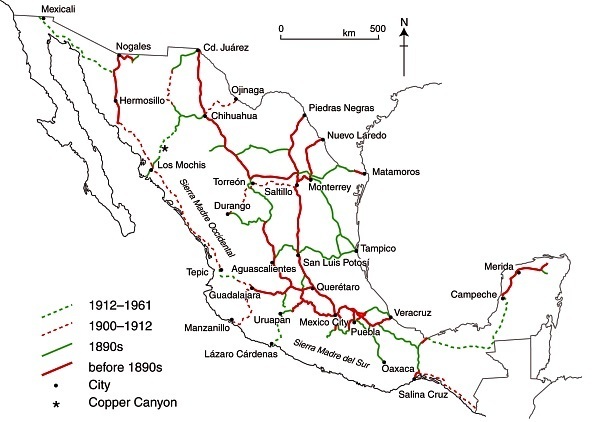 The railroads thrust much of Mexico into the 20th century. Cities with favorable rail connections grew significantly during the railroad era while those poorly served were at a severe disadvantage. The speed and economies of scale of shipping by rail encouraged mass production for national markets. For example, cotton growing expanded rapidly on irrigated farms near Torreón because the crop could be shipped easily and cheaply to large textile factories in Guadalajara, Puebla and Orizaba. Manufactured textiles were then distributed cheaply by rail to national markets. Elsewhere, the railroads enabled large iron and steel, chemical, cement, paper, shoe, beer and cigarette factories to supply the national market. On the other hand, most Mexicans still lived far from railroad lines and relied on foot or mule transport while practicing subsistence agriculture. In addition, the cost of rail tickets was prohibitively expensive for many Mexicans; paying for a 70 km (43 mi) trip required a week’s pay for those on the minimum wage. The railroads greatly expanded the gap between the ‘have’ and the ‘have not’ areas of the country. Almost all the Pacific coast and most of southern Mexico did not benefit from the railroads. Such growing inequalities contributed to the Mexican Revolution. In the second half of the 20th century, the rapidly improving road network and competition from private autos, buses and, later, airplanes caused railroad traffic to decline significantly. Freight traffic on the nationalized railroad maintained a competitive advantage for some heavy shipments that were not time sensitive, but for other shipments trucks became the preferred mode of transport. The current system, with its roughly 21,000 km of track, is far less important to Mexico’s economy than it was a century ago. Recent World Bank figures reveal that Mexico’s GDP/person in 2013 reached $16,463 a year, an increase in GDP/person of 1.8% since 2012. (All figures in US dollars). Mexico’s 2013 GDP/capita is well above the Latin America and Caribbean average of $14,978. The GDP figures are based on purchasing power parity (PPP) which overcomes gross distortions resulting from differences in exchange rates. For example, a haircut of the exact same quality might cost $15 in the USA, $5 in Mexico and $1 in China. Using the PPP approach, this same haircut would count as a $15 contribution to the GDP of each of the three countries. Mexico’s GDP/person has grown at an average rate of 4.5%/year since 1991, according to the World Bank. Back in 1991, the GDP/person averaged $6,320. Mexico’s GDP/person has risen quite sharply since 2008, when the comparable figure was $14,810, though its world rank (#80) is essentially unchanged. The figures suggest that economic growth has outstripped population growth over the past five years, making Mexicans better off (on average), and able to afford more goods and services, now than they were then. These figures suggest that Mexico’s economy has become more resilient when there is any slump in global markets. Retirees, mainly from the USA and Canada, form a special subgroup of tourists. About 1 million US visitors to Mexico each year are over the age of 60. Their total expenditure is about $500 million a year. Three-quarters arrive by air; half of these stay 4-8 days and almost one in ten stays 30 days or longer. Half stay in hotels, and one-third in time-shares; the remainder either stay with family or friends, or own their own second home. Of the 25% arriving by land, almost one in three stays 30 days or more. For Canadians, the patterns are broadly similar except that a higher percentage arrive by air. The number of retiree tourists is relatively easy to quantify. However, it is extremely difficult to place accurate figures on the number of non-working, non-Mexicans who have chosen to relocate full-time to Mexico. Technically, these “residential tourists” are not really tourists at all but longer-term migrants holding residency visas. They form a very distinct group in several Mexican towns and cities, with lifestyle needs and spending patterns that are very different from those of tourists. Their additional economic impact is believed to exceed $500 million a year. 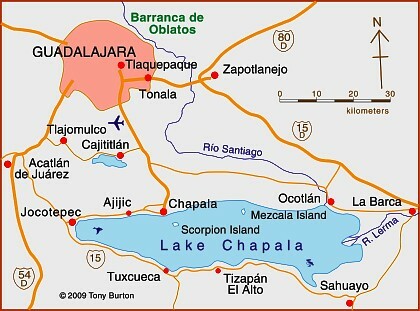 The largest single US retirement community outside the USA is the Guadalajara-Chapala region in Jalisco, according to state officials (see map). The metropolitan area of Guadalajara, Mexico’s second city, has a population of about 4 million. The villages of Chapala and Ajijic (combined population about 40,000) sit on the north shore of Lake Chapala some 50 km (30 mi) to the south. Historically, Chapala was the first lakeshore settlement to attract foreign settlers, as early as the start of the 20th century. Today the area is home to a mix of foreign artists, intellectuals, escapees (of various non-judicial kinds), pensioners and ex-servicemen. In the last 40 years, Ajijic has become the focal point of the sizable non-Mexican community living on the lakeshore. 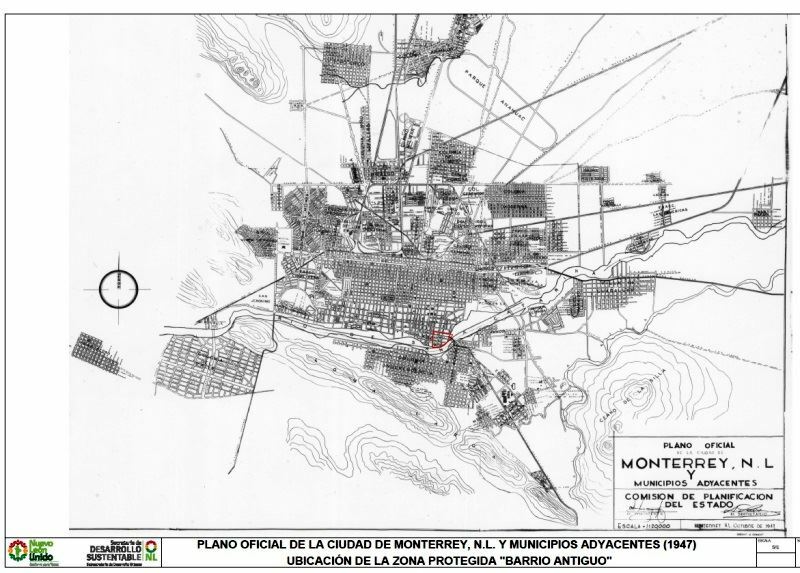 Depending on how they are defined, there are probably between 6000 and 10,000 foreign residents in the Chapala-Ajijic area, the higher number reflecting the peak winter season. About 60% of retirees in the area own their own homes or condos, though many still own property in the USA or Canada as well, and many make regular trips north of the border. The main pull factors for residential tourists are an amenable climate; reasonable property prices; access to stores, restaurants and high quality medical service; an attractive natural environment; a diversity of social activities; proximity to airports; tax advantages, and relatively inexpensive living costs. David Truly has suggested that conventional tourist typologies do not work well with Ajijic retirees. He identified migrant clusters with similar likes and dislikes. Retirees vary in education, travel experience and how they make decisions about relocation. Early migrants tended to dislike the USA and Canada and adapted to life in Mexico. They were generally content with anonymity unlike many more recent migrants. Traditional migrants appreciate all three countries, but have chosen Mexico as their place of permanent residence. Many new migrants do not especially like the USA or Canada but are not particularly interested in Mexico either. They seek familiar pastimes and social settings and are content to have relatively little interaction with Mexicans. The large influx of residential tourists into small lakeside communities like Ajijic inevitably generates a range of reactions among the local populace. From empirical studies of regular tourism elsewhere, George Doxey developed an “irritation index” describing how the attitudes of host communities change as tourist numbers increase. His model applies equally well to residential tourists. In the initial stage the host community experiences euphoria (all visitors are welcome, no special planning occurs). As numbers increase, host attitudes change to apathy (visitors are taken for granted) and then annoyance (misgivings about tourism are expressed, carrying capacities are exceeded, additional infrastructure is planned). If numbers continue to grow, hosts may reach the stage of antagonism, where irritations are openly expressed and incomers are perceived as the cause of significant problems. Residential tourism in the Chapala-Ajijic area has certainly wrought great changes on the landscape. Residential tourists have created a distinct cultural landscape in terms of architectural styles, street architecture and the functions of settlements. (Browse the Chapala Multiple Listing Service New Properties). Gated communities have been tacked on to the original villages. Subdivisions, two around golf courses, have sprawled up the hillsides. Swimming pools are common. Much of the signage is in English. Even the central plazas have been remodeled to reflect foreign tastes. Traditional village homes have been gentrified, some in an alien “New Mexico” style. On the plus side, many retirees, as a substitute for the family they left behind, engage in philanthropic activities, with a particular focus on children and the elderly. Retiree expenditures also boost the local economy. Areas benefiting from retirees include medical, legal and personal services, real estate, supermarkets, restaurants, gardening and housecleaning. Employment is boosted, both directly and indirectly, which improves average local living standards. On the minus side, decades of land speculation have had a dramatic impact on local society. Land and property prices have risen dramatically. Many local people have become landless domestic servants, gardeners and shop-keepers with a sense that the area is no longer theirs. Crime levels have risen and some local traditions have suffered. The abuse of water supplies has resulted in declining well levels. Over zealous applications of fertilizers and pesticides have contaminated local water sources. 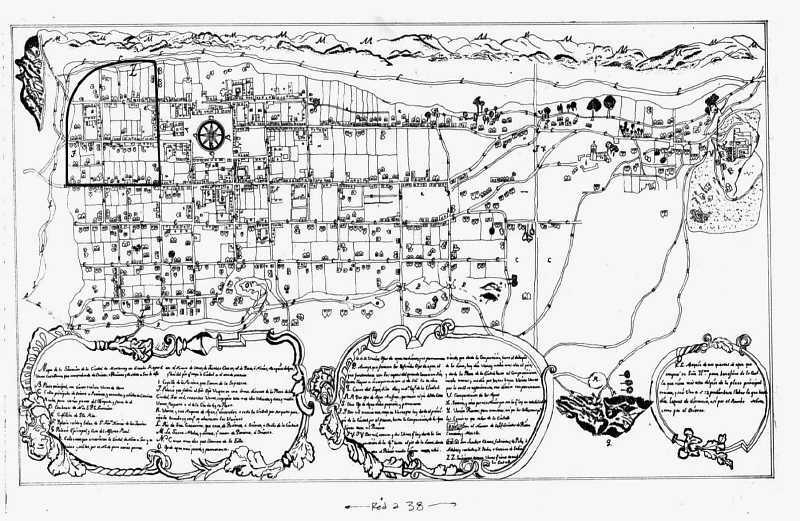 Other locations besides Chapala-Ajijic where a similar influence of non-Mexican retirees on the landscape can be observed include San Miguel de Allende (Guanajuato), Cuernavaca (Morelos), Mazatlán (Sinaloa), Puerto Peñasco (Sonara), Rosarito (Baja California) and Todos Santos (Baja California Sur). The most preferred locations are all on the Pacific coast side of Mexico. As more baby-boomers reach retirement age, residential tourism offers many Mexican towns and cities a way of overcoming the seasonality of conventional tourism. Lesser-developed regions have an opportunity to cash in on their cultural and natural heritage and improve their basic infrastructure. This is a lightly edited excerpt from chapter 19 of Geo-Mexico: the geography and dynamics of modern Mexico. Boehm S., B. 2001 El Lago de Chapala: su Ribera Norte. Un ensayo de lectura del paisaje cultural. 2001. Relaciones 85, Invierno, 2001. Vol XXII: 58-83. Burton, T. 2008 Lake Chapala Through the Ages, an Anthology of Travellers’ Tales. Canada: Sombrero Books. Doxey G.V. 1975 A causation theory of visitor‑resident irritants: methodology and research inferences. Proceedings of the Travel Research Association, San Diego, California, USA: 195‑8. Stokes, E.M. 1981 La Colonia Extranero: An American retirement Community in Ajijic, Mexico. PhD dissertation, University of New York, Stony Brook, cited in Truly, D. 2002. Truly, D. 2002 International Retirement migration and tourism along the Lake Chapala Riviera: developing a matrix of retirement migration behavior. Tourism Geographies. Vol 4 # 3, 2002: 261-281. How big is Lake Chapala? Where in Mexico will U.S. baby-boomers choose to live? In response to severe labor needs during the second world war, the governments of Mexico and the USA initiated the Bracero guest worker program in 1942. The program enabled Mexico to contribute to the war effort by sending temporary agricultural workers to the USA. Mexicans were granted renewable six month visas to work on selected farms. Most migrants under the Bracero program came from the same three states, Michoacán, Jalisco and Guanajuato. They worked mostly in California and other states along the Mexican border. As a result of the Bracero program, some farmers in the USA became very dependent on relatively cheap Mexican labor. The program was considered a great success by farmers. Unfortunately mistreatment of Bracero laborers was widespread. In protest, the Mexican Government threatened to stop the flow of migrants. During the war many Mexicans who were not recruited under the Bracero program entered the USA illegally looking for work. Tolerance for unauthorized migration developed on both sides of the border. With a large dependency in the USA on Mexican farm workers and a large supply in Mexico, there was virtually no way to put a halt to this migration stream. Labor unions, churches and Latino groups in the USA opposed the Bracero program on the grounds that it held down farm wages and impeded the upward mobility of US Hispanics. They convinced the US Congress to halt the Bracero program in 1964. Between 1942 and 1964 an estimated 4.5 million Mexican Bracero workers entered the USA. At its height in the late 1950s more than 500,000 workers migrated each year. Most were temporary migrants who returned to Mexico within a year, often settling in larger cities, exacerbating the flow of migrants from rural areas to the growing cities. The Bracero program set the stage for the continued high volume of Mexican labor migration to the USA. In an effort to ensure that the Bracero workers were only temporary migrants to the USA, the US government withheld 10% of all their earnings. The US government then remitted this amount to the Mexican government for payment to the workers on their return home. More than 70 years after the Bracero program started, many braceros are still trying to claim money that they earned legitimately years ago and that is still owed to them by the Mexican government. The struggles of temporary bracero workers who were never repaid the 10% that had been withheld, are detailed in a short October 2013 article entitled “Bracero Guestworkers, Unpaid”, written by Adam Goodman and Verónica Zapata Rivera (history doctorate students at, respectively, the University of Pennsylvania and Mexico’s National Autonomous University). The article also describes some of the other injustices faced by Bracero workers, including forced whole-body fumigation with DDT as they crossed the US border. Have Mexicans given up on the dream of moving to the USA?